This basic but chic bodysuit is perfect for any occasion. 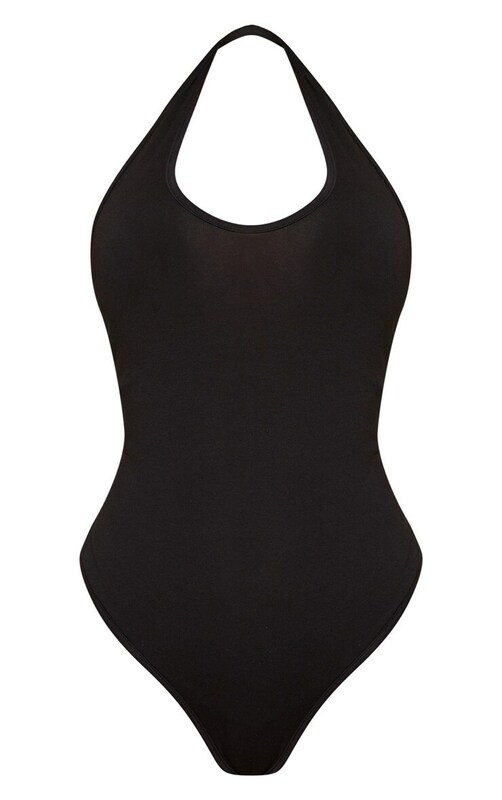 Featuring a black jersey material with a halterneck and popper fastenings. Team this with a midi skirt and strappy heels for date night.